I had heard so much about this foundation before I bought it and it doesn't take much to convince me to buy a full coverage foundation. Choosing the right shade was fairly easy, I think the shade range is really great as there are 40 shades to choose from which range for the fairest skin to the darkest which is great compared to a lot of other brands out there. As with all my foundations, my favourite way of applying it is with a Beauty Blender as this distributes the product evenly on the skin and blends in seamlessly. The coverage is definitely medium to full, it is buildable without looking cakey or heavy on the skin and it covers every blemish I need it to. Using a Beauty Blender probably makes it slightly lighter coverage than brushes but I prefer how quick and easy the Beauty Blender is. The foundation claims to last 24 hours, while I don't think it lasts this long (after accidentally testing it by falling asleep in my makeup), it is still one of the best foundations I've tried in terms of not needing to be touched up throughout the day. 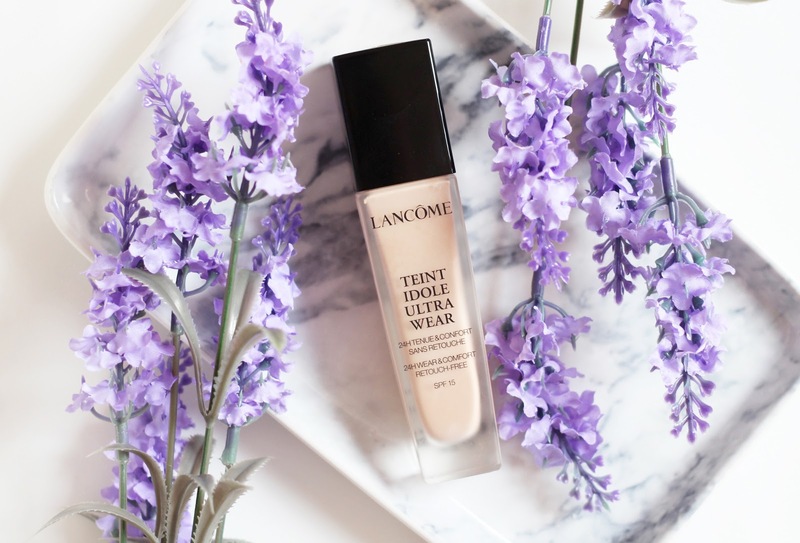 I have slightly dry and dehydrated skin that tends to get a little oily throughout the day around the nose area so it can be difficult to find a foundation that works on my combination skin. I find this gives more of a matte finish rather than a radiant look but it doesn't dry out my skin or cling to any dry patches either. Throughout the day, most foundations separate on my skin or start to move around, this foundation stays in place without me needing to add more product or powder my skin. I really like the packaging, it comes in a slightly frosted glass bottle that feels high end with a pump dispenser so it's handy for distributing the right amount of product. My only slight gripe about the product is the smell, it's not overly offensive but it has a bit of an "old lady" scent to it which isn't particularly nice. This doesn't bother me too much as once it is blended into the skin, the scent disappears but if you are sensitive to scents, it may bother you. This has become my staple, daily full coverage foundation. It's one I can rely on to stay on my skin all day, looking flawless without having to worry about it separating or needing to be touched up. It retails for £32 which makes it a high end product, however it's one I would recommend investing in.